Whoever with intent to cause, or knowing that he is likely to cause, wrongful loss or damage to the public or to any person, causes the destruction of any property, or any such change in any property or in the situation thereof as destroys or diminishes its value or utility, or affects it injuriously, commits "mischief". Explanation 1- It is not essential to the offence of mischief that the offender should intend to cause loss or damage to the owner of the property injured or destroyed. It is sufficient if he intends to cause, or knows that he is likely to cause, wrongful loss or damage to any person by injuring any property, whether it belongs to that person or not. Explanation 2- Mischief may be committed by an act affecting property belonging to the person who commits the act, or to that person and others jointly. Illustrations (a) A voluntarily bums a valuable security belonging to Z intending to cause wrongful loss to Z. A has committed mischief. (b) A introduces water into an ice-house belonging to Z and thus causes the ice to melt, intending wrongful loss to Z. A has committed mischief. (c) A voluntarily throws into a river a ring belonging to Z, with the intention of thereby causing wrongful loss to Z. A has committed mischief. (d) A, knowing that his effects are about to be taken in execution in order to satisfy a debt due from him to Z, destroys those effects, with the intention of thereby preventing Z from obtaining satisfaction of the debt, and of thus causing. damage to Z. A has committed mischief. (e) A, having. insured a ship, voluntarily causes the same to be cast away, with the intention of causing damage to the under-writers. A has committed mischief. (f) A causes a ship to be cast away, intending thereby to cause damage to Z who has lent money on bottomry on the ship. A has committed mischief. (g) A, having joint property with Z in a horse, shoots the horse, intending thereby to cause wrongful loss to Z. A has committed mischief. (h) A causes cattle to enter upon a field belonging to Z, intending to cause and knowing that he is likely to cause damage to Z's crop. A has committed mischief. 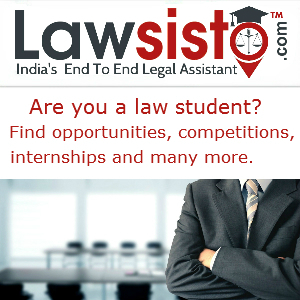 Listing lawyers is 'one of the various services' that lawsisto.com offers. Positioning the lawyers in the online directory is purely a system driven process and is not based on considerations. 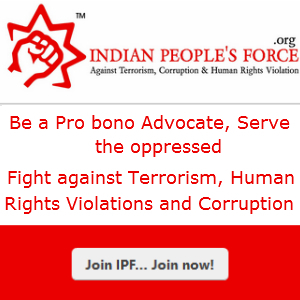 We strictly do not offer 'Touting Services' as per the rules of Bar council of India and do not recommend any lawyer for or without monetary considerations. 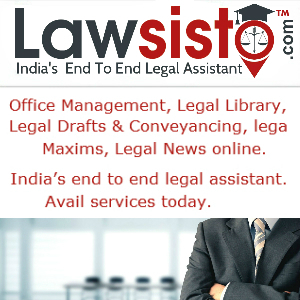 Lawsisto.com accepts payments for online services like office management system, fixing appointments, e-library, Deeds & drafts, Conveyancing and other services. Copyright © Kalyan Krishna Legal & Tax Private Limited. All rights reserved.